Arilux has a big catalog of lights, from security outdoor lights to fancy Christmas lights or disco lights. 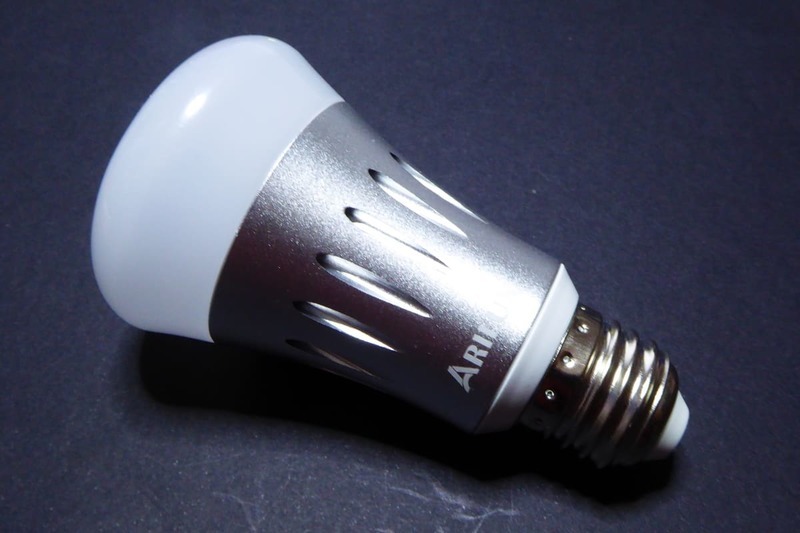 The Arilux E27 (its proper name is “Smart Bulb”) it’s a 7W RGBW light bulb with WiFi (IEEE 802.11b/g/n) that can be used on any E27 socket around the globe (85 to 285VAC supported). It has an ESP8266 with a 1Mb flash memory like it’s siblings and the same light driver as the AiThinker light, the 4-channel MY9291. 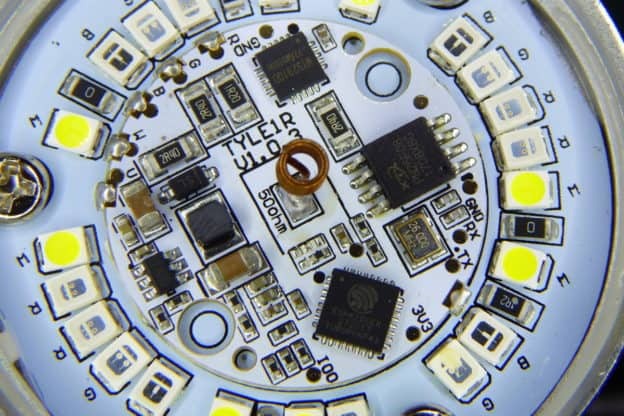 The Sonoff B1, on the other hand, uses two daisy-chained MY9231, three channels each and uses 5 of the 6 channels available. 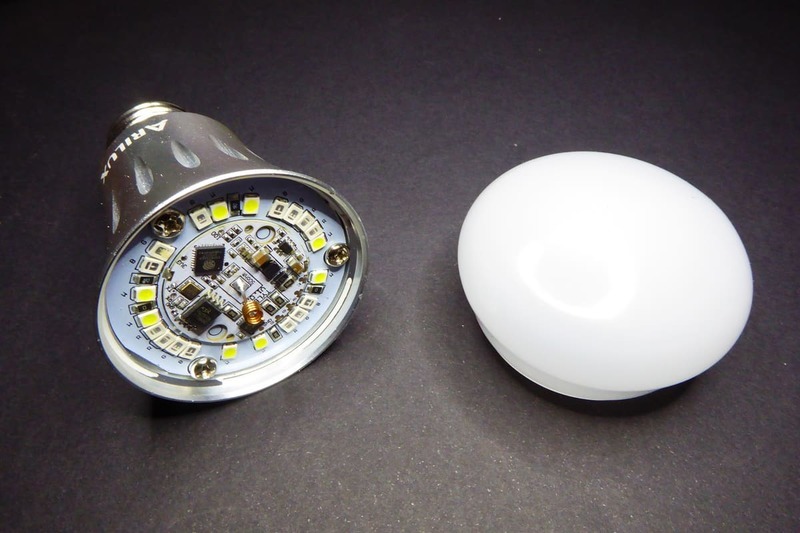 Anyway, you might need to wire the bulb to flash it the first time, from then on OTA is a better option. 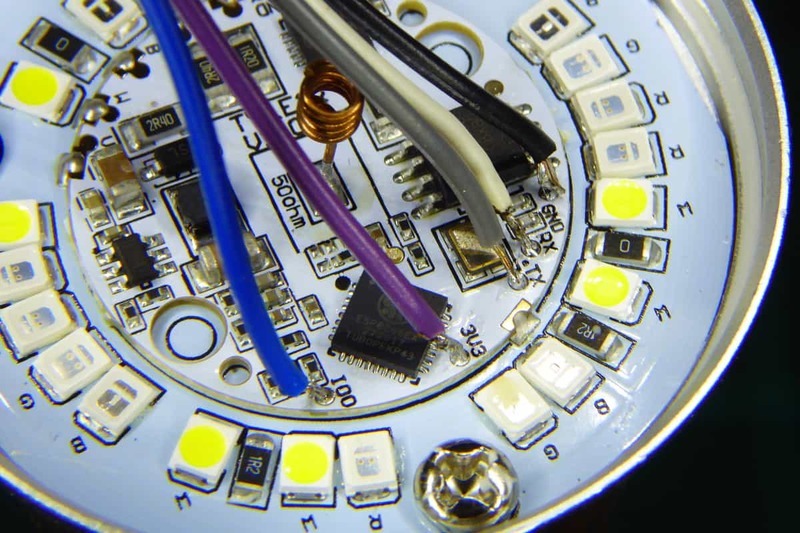 Like the other two light bulbs, this one has a properly labeled pads on the main circuit board where you can solder thin cables and use your USB2UART programmer. Wiring it is simpler than it may seem. Heat the pad, leave a drop of tin on it, tin your wire also and then heat them together. You will only need a fraction of a second to have the cable connected to the pad. Then just connect it to your programmer. 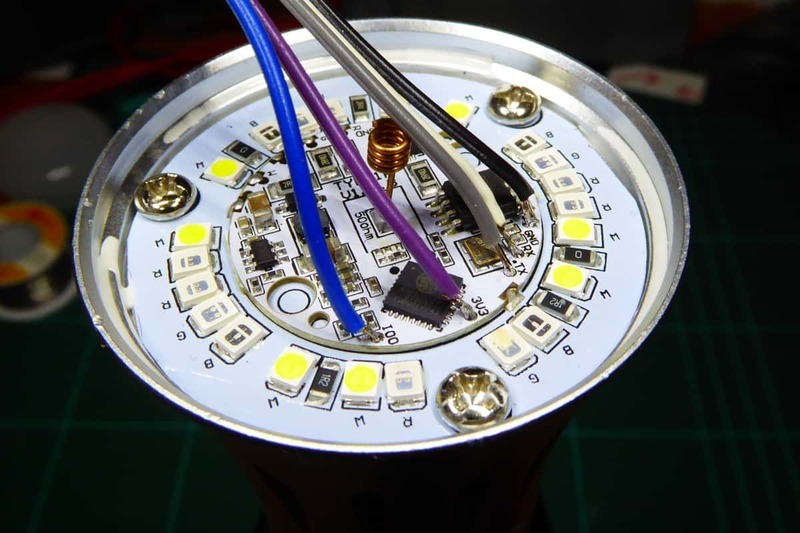 Remember it’s a 3V3 device and you have to connect IO0 to ground before powering the board so it enters into flash mode. The follow the instructions of your firmware of choice (here the ones for ESPurna with AiLight) and you are good to go. 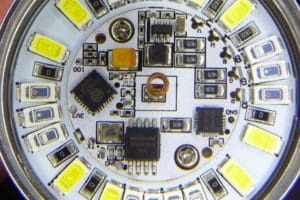 But of course the number of LEDs is not enough to compare them. 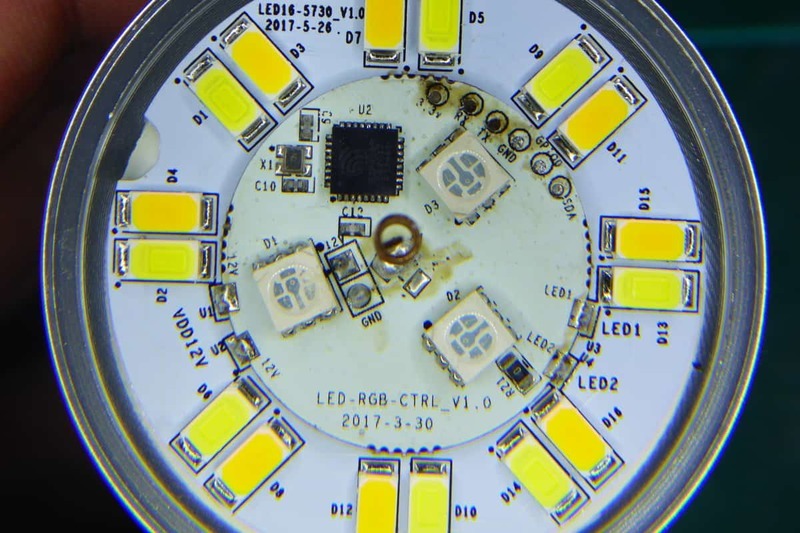 Actually you can see in the pictures that the power LEDs in the bulbs are quite different one from the other (5050 RGB LEDs aside). So, how do they compare when talking about brightness? 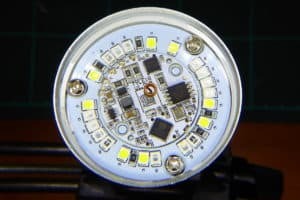 In my previous post about the Sonoff B1, I noticed the 5050 RGB LEDs were clearly not enough, much much less bright than the power LEDs in the AiLight. It was very obvious (you can check the pictures on that post), but subjective appreciation after all. This time I have decided to do a more “scientific” experiment. 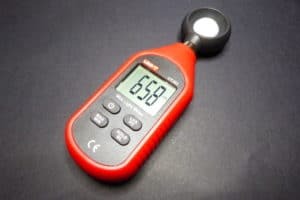 As it happens I have several luximeters at home for another project, so why not use one of those to compare the three bulbs in a controlled environment. The luximeter I have used is a UNI-T UT383. You can buy one for around 12€ from Aliexpress (UNI-T UT383 at Aliexpress) or Ebay (UNI-T UT383 at Ebay). It is on the cheap side and there is no information about how it performs for different wavelengths (only they have been calibrated at 2856K), but it should be enough to compare the three bulbs brightness. The AiLight power LEDs really make the difference. 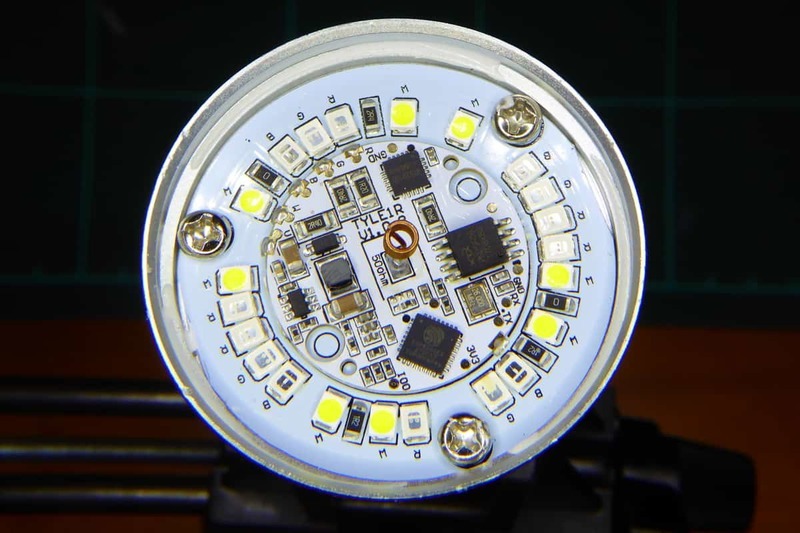 The Arilux colour LEDs perform better than the poor 3 5050 RGB LEDs in the Sonoff B1, but the later has the advantage of having a second set of white LEDs (warm white in this case) so when everything is at full power it’s actually brighter than the Arilux, but still far from the AiLight. So it looks like the AiLight might be the best option for most use cases, except when you need a warm white light bulb. The final argument might be the price. So you can buy any of the three light bulbs for around 12€ so there is no big difference here. 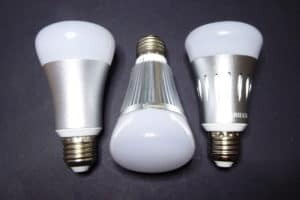 Update: Timo Rohner has had some trouble importing Arilux light bulbs into Poland and he had to search for CE documentation for the devices. He sent me the documentation so you can also have it in case you will need it. 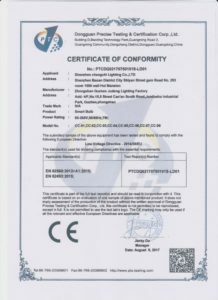 Here you have the Certificate of Confirmity for Arilux CC-01 to CC-08. Thank you, Timo! 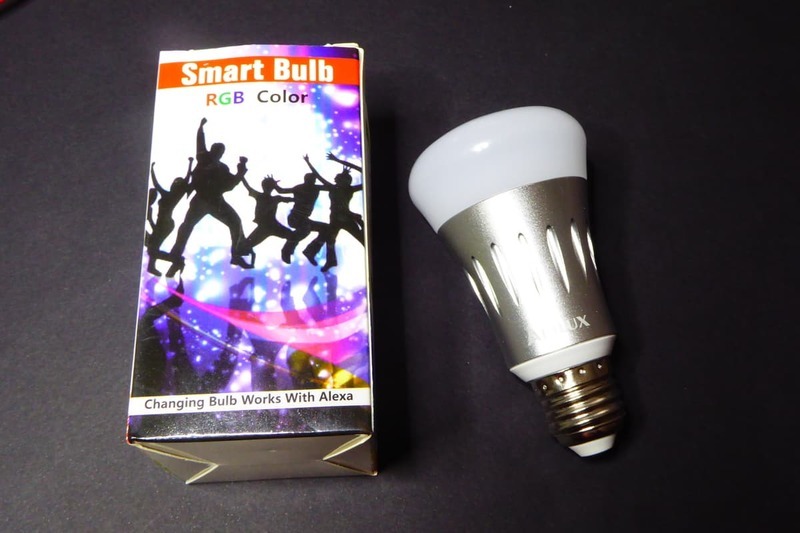 Yet another WiFi light bulb by Tinkerman is licensed under a Creative Commons Attribution-ShareAlike 4.0 International License. Good to know. I’d like to try this node for Node-RED (https://github.com/stephenkeep/node-red-contrib-milight) with the MiLights, have you tested it? Any idea what the idle (off) power consumption is on these three lights? 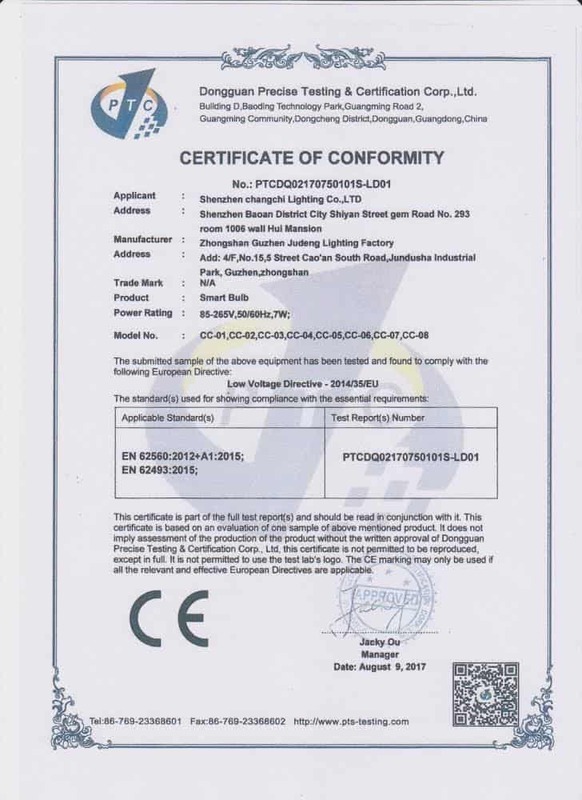 The ESP2866 is rated under 200mA with active WiFi connection at 3.3V that’s maybe 0.6W. Giving the power transformer and other components I’d say it could be around 1W. But I’m only guessing. Softserial or CHG340G TTL Adapter don’t seem to work. Switched to a cheapo FTDI Adapter from Amazon -> worked instantly! I’ve tried the Sonoff B1. I’ll be shopping for some AiLights now. 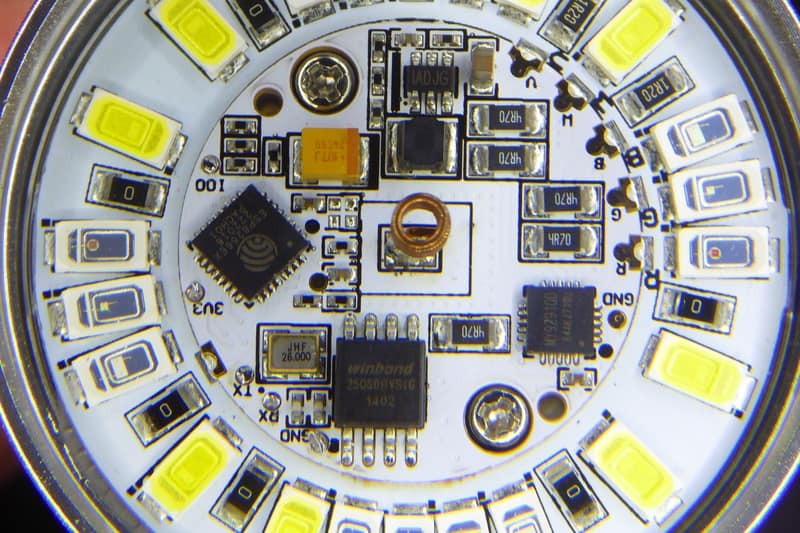 Two of my lamp survived, but one lamp destroyed three solder points: GND, TX and RX. Can I find these elsewhere?